Columbia Crest Reserve Wines - Write for Wine: It's Wine O'Clock Somewhere!Write for Wine: It's Wine O'Clock Somewhere! 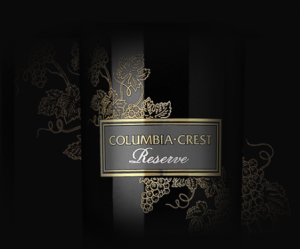 We are big fans of Columbia Crest wines — from the special reserve wines to the value H3 label, which we’ve written about often. So it was not surprising when the recent reserve vintages — 2013 Walter Clore Private Reserve Red Wine and 2013 Reserve Cabernet Sauvignon — were such a pleasure to drink. If you prefer bold and beautiful Bordeaux-style red blends, this wine is for you. We adored it – big and powerful, yet balanced, smooth and elegant. The combination of richness and restraint makes it a standout. 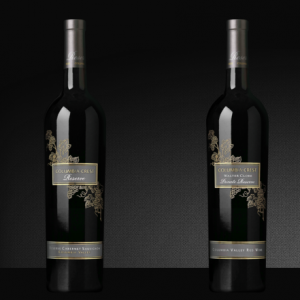 The wine is a compelling blend of 64% Merlot and 34% Cabernet Sauvignon, rounded out with Cabernet Franc and Malbec. Aromas of raspberries, plums, baking spices and black olives are followed by dense flavors of blackberries, cherries, black olives and cocoa. This Reserve Cabernet Sauvignon displays style, focus and polish, with aromas of cherries, dark chocolate and espresso leading into concentrated flavors of dark berries and black fruit. Created in the classic Bordeaux style, this wine offers layers of texture and balance, with a long smooth and silky finish. It is drinkable now but will be even better after some time in the cellar. We thoroughly enjoyed the robust Cabernet Sauvignon, although we preferred the Clore blend. Either one would pair well with a juicy steak, braised beef short ribs or almost any grilled meat. Samples kindly provided by the winery. This entry was posted in Bordeaux Blend, Cabernet Franc, Cabernet Sauvignon, Columbia Valley, Malbec, Merlot, Red Mountain, Washington, Wine and tagged 2013 Walter Clore, Bordeaux blend, Cab Franc, Cabernet Sauvignon, Columbia Crest, Malbec, Merlot, Reserve wines, Washington wine, Washington wineries, wine, wineries by Margot. Bookmark the permalink.